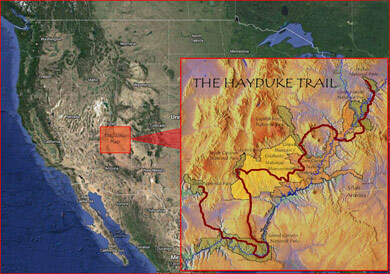 The Hayduke Trail is a 800 mile hike and scramble through the canyons of the Colorado Plateau in southern Utah and northern Arizona USA. The route links six stunning National Parks.... Arches, Canyonlands, Capitol Reef, Bryce Canyon, Grand Canyon and Zion. The route connecting the parks stays pretty much in public lands including the wonderful Grand Staircase-Escalante National Monument, Glen Canyon National Recreation Area and numerous National Forests, BLM Districts, Primitive Areas, Wilderness Areas and Wilderness Study Areas. According to the Hayduke Trail website 'the route is not intended to be the easiest or most direct route through this incredibly varied terrain, but is rather meant to showcase the stunning redrock wilderness of the American Southwest'. Created by Mike Coronella and Joe Mitchell, who spent years exploring the area and who published a guidebook in 2005, only a handfull of hikers have set out on the Hayduke each year. Roughly following the line of the mighty Colorado river south west, the Hayduke heads down into the Grand Canyon before heading north west to finish in Zion National Park. It goes down to about 1,800 feet at river level up to 11,419 at Mount Ellen in the Henry Mountains. Mostly the terrain is arid and high desert but the plateau is cut into by a labyrinth of canyons, some with seasonal running water and springs. The prefered time of year to hike is the spring or autumn, between the blisteringly hot summer and the cold, snowy winter. Underfoot, much of the hiking is cross country, sometimes following canyon bottoms, wading rivers, hiking on sand or bushwacking through willow and tamarisk. There are a few good trails though, particulary in the national parks and jeep and dirt roads of various levels of use also provide easier travel across the plateau. The Hayduke is not signposted or recognised as a national trail so hikers have to be self sufficient if they are to make it through the sometimes harsh, dry conditions. Above all though, the countryside is one of the most beautiful anywhere with the red walled canyons, clear skies, remoteness, lush green riparian corridors and stunning colourful rock strata. Although there is a guidebook, the nature of the terrain leads itself to a plethora of alternate routes and this appealed to us to research and explore our own variants. 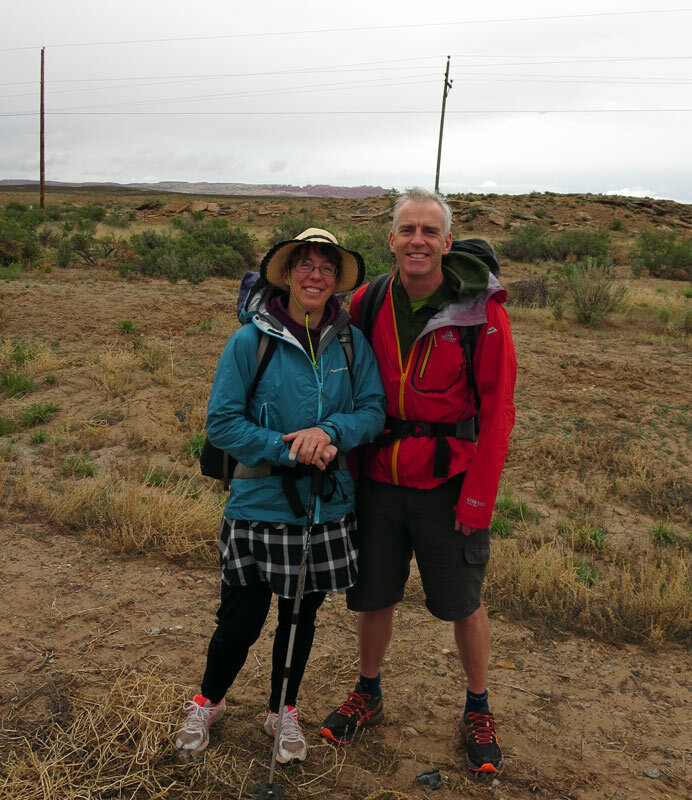 We, Brian and Martina, planned to set off hiking on the Hayduke in mid April 2014 and head westwards with lots of variations in mind. 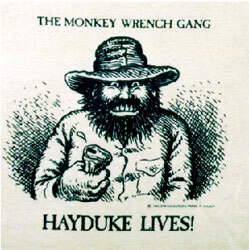 Edward Abbey The name 'Hayduke' is from the main character in the novel 'The Monkey Wrench Gang' by writer and environmental campaigner Edward Abbey. 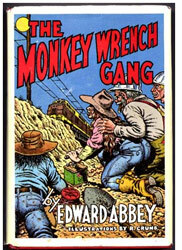 This has become a classic fictional story of 'eco-warriers' fighting back against the spread of industry and urbanisation of the wild areas of the US south west. 'Hayduke' set out to blow up railways and dams in the desert and in his run from the law, scrabbled his way through the harsh but beautiful landscape. 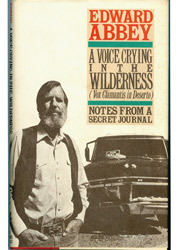 "In the first place you can't see anything from a car; you've got to get out of the goddamned contraption and walk, better yet crawl, on hands and knees, over the sandstone and through the thornbush and cactus. When traces of blood begin to mark your trail you'll see something, maybe." Preparation We stay on the 'Black Isle' (but neither black or an island!) 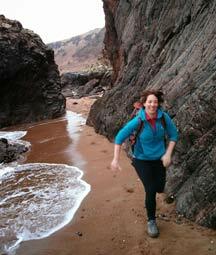 in the north of Scotland, a country with a rather wetter climate then the Colorado plateau. Not to be daunted though, during the winter of 2013-14 we did lots of hikes trying to replicate the Hayduke conditions as much as we could, covering around 20 miles a day seeking out rough sandy trails. A local loop walk between the towns of Fortrose and Cromarty, along a rocky and sandy coastline with some climbing and rough dirt tracks proved to be about perfect- apart of course from the weather! 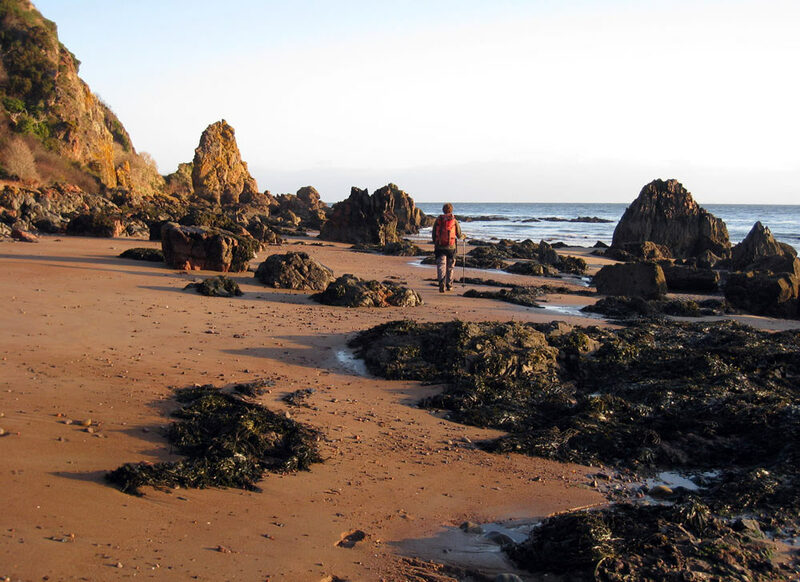 It also happens to include superb geology and a range of coastal wildlife from dolphins, seals and the occasional otter to oystercatchers, fulmars, cormorants, shags and ravens. You can see the Site of Special Scientific Interest document for the coastline here. In early April 2014 we headed out to Denver Colorado ready to start the Hayduke. 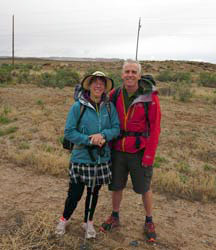 Here we are on our first day in the rain at the edge of Arches National Park about to start hiking!